The education market in UAE is set to grow at a compound annual growth rate (CAGR) of 4.74 percent during the period 2018-2022, said an industry expert, quoting analysts and highlighting emerging trends that will shape education sector in 2019. Both learners and educators have had to come to terms with the digital revolution, which has swept the educational landscape, bringing with it a host of new opportunities and challenges. The voice and choice of students are guiding practice and pedagogy. This year, the education sector is set for digital disruption with four key emerging trends that will collectively change how students learn and educators teach. 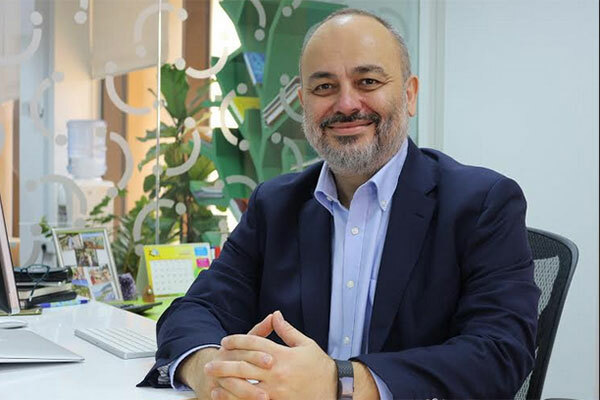 ÖzhanToktas, managing director of Pearson Middle East, a leading global company, explained how the education sector is set for digital disruption with four key emerging trends that will collectively change how students learn and educators teach. A number of studies have indicated that today's generation, are generally more comfortable with technology than their predecessors, and are more reliant than ever on digital sources for information and entertainment. Improved technological literacy and easy access to the internet has enabled educators to establish virtual schools as partial solutions to the problems of curriculum equity, changing demographics, shortages in specific teaching disciplines and the need to be cost-effective. Not only that, virtual schooling allow students to choose courses which equip them with real-world skills. Qualifications from the International Connections Academy (iNaCA), for example, are accepted at Juilliard, Yale and Stanford universities to name a few. The growth of virtual schools will bring about changes in conventional schooling. The change will not happen overnight: the traditional schooling system, which we have used for more than a hundred years, is not going to vanish in a few short years. It is more likely that virtual schools will become a small but soon a significant part of the educational landscape. Science, technology, engineering, and mathematics (STEM) is already a staple of western education, and in 2019, it will become an even bigger focus area in the Middle East. Recent studies have shown that 1.9 million jobs in the UAE will become redundant due to advancements in technologies such as artificial intelligence, robotics, 3-D printing and self-driving cars. These advancements highlight the need for young people – which represent a large proportion of the Middle Eastern’s population – to acquire new skills that can prepare them for a changing tomorrow. On top of that, according to the U.S. Department of Commerce, STEM occupations are growing at 17 per cent, while other occupations are growing at 9.8 per cent. In 2019, STEM education at the K-12 level will be an all-hands-on-deck for students who want a career in one of these fields. The knowledge of science and technology will provide students with the background necessary to understand and work with the ever-changing technologies that they will encounter in any career. To ensure every student gains these benefits, K-12 schools will need to teach STEM in a conceptual and experiential way. In the near future, STEM skills could also massively expand one’s choice of jobs. For example, mathematicians are employable in many different industries, and not just teaching. Wall Street is one of the top recruiters for college math majors. The Middle East, with its focus on innovation and future-readiness, is creating the perfect landscape to entrench STEM into everyday life. With the proliferation of high-speed internet, learning is no longer confined to the physical classroom or the library. Through video sharing platforms and interactive apps, an educator can deliver lectures to students through distance as well as time. This flexibility and greater reach gives the added benefit of economies of scale. As a student, that means budget or physical location is no longer an impediment in accessing professional expertise. Workers looking at acquiring new skills and knowledge expect to be able to learn on-demand and to be able to apply those skills immediately. It has also become increasingly difficult for employed individuals to take time off from their career to pursue any type of training, up-skilling or formal education. In recognition of this, specialists expect to see education extending to eLearning. New and flexible forms of delivery using advanced technologies will ensure a more blended and assisted approach to learning. Higher education administrators are also beginning to evaluate campus designs to find ways to integrate technology and to provide online experiences that are interactive and flexible. Over the years, universities will increasingly use virtual spaces with avatar students and teachers for innovative teaching, learning and research projects. The virtual world will enable both students and educators to do what cannot be done in the real world, providing platforms to best serve the learning need. The Middle East online education market is expected to expand at a CAGR of 9.8 per cent during the forecast period of 2017-2023. The market growth is likely to be driven by the huge government investment and rapid adoption of online education and e-learning by educational institutes and corporate organisations. Geographically speaking, the largest share of the online education and e-learning market is held by Saudi Arabia and is expected to garner $237.1 million by 2023. UAE comes in at the second place and is expected to grow at a CAGR of 10.3 per cent over the same period. Blended and eLearning will slowly be acknowledged as the most viable and convenient solution to correct the imbalance between supply and demand. Private companies, especially those related to education and Edtech like Pearson Professional, are also starting to play their fair share of the game and are making more investments and taking concrete and courageous steps to introduce new blended courses (i.e. career programmes, certificate programmes or MicroMasters programmes - mini-degrees or certifications in specific topic areas that are delivered in small chunks) covering such popular disciplines as Artificial Intelligence, Cyber Security, Business Analytics, Supply Chain Management amongst others.